The character goes on to disavow any prejudice that such people might seek to instil in his mind, and in a similar spirit, in contemplating Oscar Wilde’s play, dated 1895 and the Masque production of 2016, one is determined to eschew malignancy (although one may express some criticism in due course). This was an evening of pure delight – excellent characterisation, tasteful settings and furniture, and a wealth of decorative art-work, with well-managed set-changes. The ladies, without exception, were alluring, the gentlemen witty, pithy and uncannily prescient with regard to the reactions of others when under stress. Making their debut with Masque were Jade Wright as Cecily and Andrew Major as Merriman. Jan Stoppani’s stage presence ensured a fearsome Lady Bracknell and she was ably supported by Holly Lowe as Gwendolen. 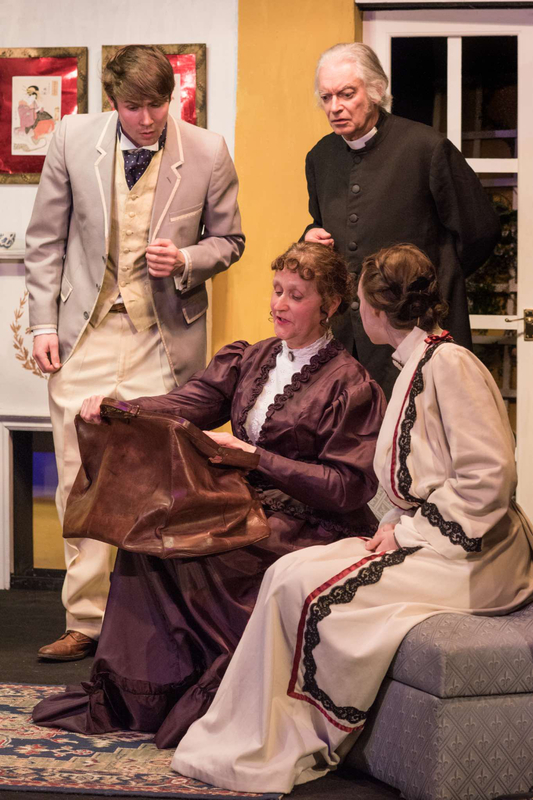 A scene from The Importance of Being EarnestElizabeth Allan played Mis Prism and Tony Janney’s mastery of classical allusions was evident in the role of Dr. Chasuble. John Worthing was played with panache by Josh Redding (a master of telling aside) and Robin Armstrong clearly relished the role of Algernon Moncrieff with comedic assistance from Craig Macpherson as his manservant, Lane. Skilfully directed by Rob Kendall this play exemplified the capacity for hard work in all departments – wardrobe, lighting, stage-management and sound, in order to bring it to fruition. 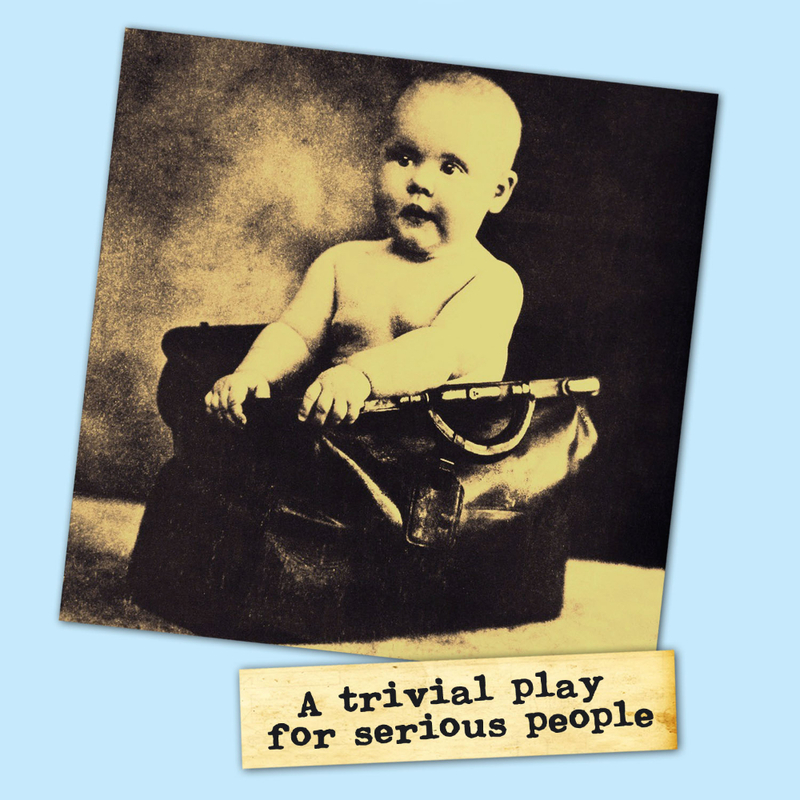 Bearing in mind my initial renunciation of any malign intent, the one potentially serious – albeit intermittent – fault (shared, I fear, by the cast in general and here recorded for possible future attention) was a lack of vocal projection with – even in the context of The Playhouse ‘cockpit’ is required if ‘conversation fade’ is not to occur beyond the first four rows of the stalls. My overall judgement was that I had witnessed a thoroughly enjoyable ensemble production fo a classic comedy of manners – of which the Masque and its hosts can be proud. 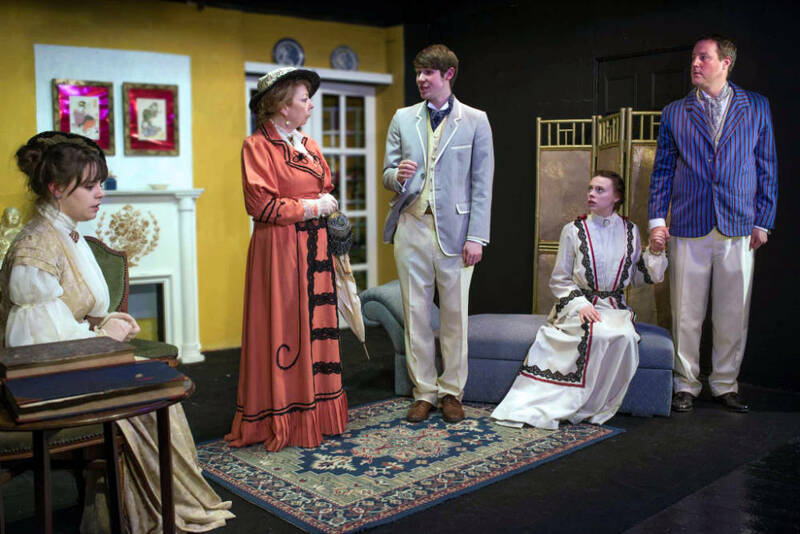 The Importance of Being Earnest begins in quite a realist atmosphere. The characters behave and talk in a languid conscious manner of their day. They are witty, cultured, idle and weathy. Although the world of leisured society of the 1890s seems far distant from us, this classic play has lost none of its sparkle. The formidable Lady Bracknell and the dubious origins of the ‘handbag’, the two girls in search of a husband called ‘Earnest’ and the two men who tried to become ‘Earnest’, all add to the farcical confusion in the process.